← My turn at TRR Sizzling Summer Reads Party! Amazon Countdown Sale! 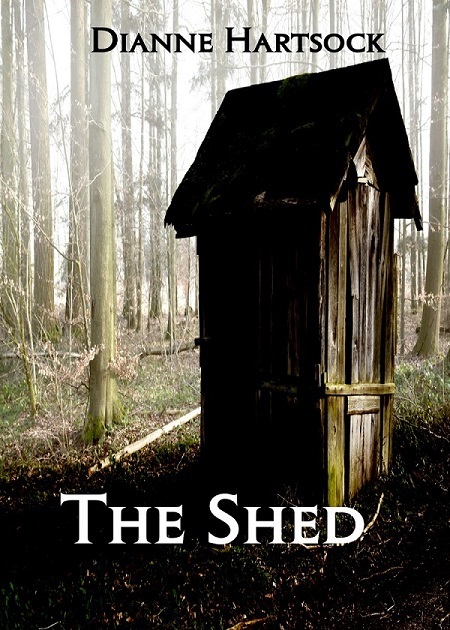 The Shed, only 1.99! The pencil snapped in Alex’s hand, startling him from the painful memory. He impatiently scrubbed the tears from his eyes, refusing to indulge in self-pity. He was no longer that helpless child, subject to his mother’s brutal discipline. Scott Reid had helped him realize that his mother had needed psychiatric help, that her rages were the product of a confused mind. She loved him the only way she knew how, trying to save him from becoming the evil man his father had been when he’d abandoned her, pregnant and alone. Alex had been able to forgive her. Now if he could only forget! He looked at the dark vortex he’d drawn on the paper, spiraling into a tiny empty spot. “Christopher?” he whispered. He started on the outside ring and followed the spiral with his eyes toward the center, his lonely soul reaching out to the tormented boy. Darkness closed around his vision, focused downward on that small point on the page. Alex gasped as cold air struck his body and trembled in the faint moonlight inside the well. Christopher lay curled on his side, asleep. Oh God. He knelt and searched the young man’s face, pale, gaunt with suffering. Alex reached for him with an unsteady hand, praying to make a connection. He felt a solid shoulder, but then pain like a shard of ice shot up his arm and he screamed as it plunged into his heart. Alex sighed. It was so hard to wait when he knew Christopher was hurting. “I suppose that’s the best thing to do,” he said with reluctance and absently turned off the lamp on the desk. This entry was posted in book quotes, New Book and tagged book sale, Dianne Hartsock, excerpt, Paranormal, Psychic, The Shed, thriller. Bookmark the permalink.